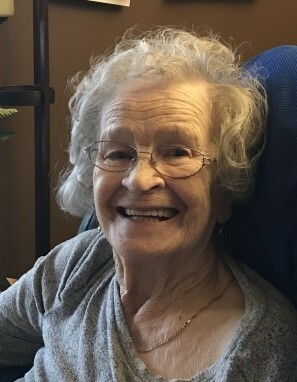 Betty McQuiggan, 84, passed away April 2, 2019. Born in Oka, West Virginia, she lived most of her life in the Akron and Tallmadge area. Betty graduated from Akron East High school in 1953, and worked at the Goodyear Tire & Rubber Company, retiring in 1983. She was a member of the Women of the Moose Chapter 852, a life member of the VFW #4887 Auxiliary, and a member of the Akron Turner Club. She was preceded in death by husband, George McQuiggan, Sr.; parents, Everett and Lona (Justice) Hunt; brother, Dock. Betty is survived by her son, George (Cindy) McQuiggan; daughter, Kimberly (Jeff) Bane; grandchildren, Daniel Duncan, Maura, Marissa and Nathan McQuiggan; and Jacob Bane; great grandchildren, Brynn and Zoey Fearer, Lillian and Sullivan Duncan; sisters, Georgia Hammond, Deanna (Richard) Herrington; brother, Fred (Virginia) Hunt; sister in law, Polly Hunt; and many nieces and nephews. Visitation will be 10:00 a.m. until 11:00 p.m. Saturday, April 6, 2019 at the Donovan Funeral Home 17 Southwest Ave. (on the Historic Tallmadge Circle). Funeral service will be at 11:00 p.m. Saturday following visitation at the funeral home with Rev. Jim Case officiating. Interment will be at Hillside Memorial Gardens.